60-year-old Luisa Latu was all smiles after undergoing cataract surgery at Wainibokasi Hospital and what made her happier was the fact that this service was brought closer to her home. 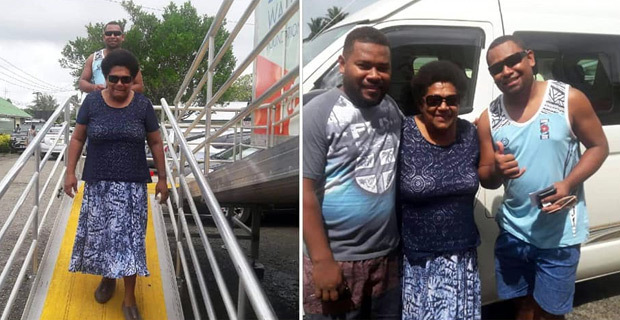 Latu who resides in Waila, Nausori says she did not have to run around or get an appointment as the Mobile Eye Clinic of the Pacific Eye Institute brought this much needed service close to Nausori. Pacific Eye Institute Coordinator Jovesa Tikomailepanoni says more than 800 people have undergone general eye screening and over 20 cataract surgeries have been done at Wainibokasi. He says they have also given out more than 500 pairs of spectacles to people which is $5 a pair. Tikomailepanoni says they are making life easier for people with eye issues, particularly the elderly who find it hard to travel to Suva. The Mobile Eye Clinic Unit of the Pacific Eye Institute will be in Wainibokasi for the whole of this month. They will be stationed in Navua in March and later move to the Western Division.